Quickly travel from the Bank to the Trading Post in Lion’s Arch by hopping onto the nearby jump pad. You will be sent flying through the air from pad to pad, all the way to the Trading Post. No more mindless walking! 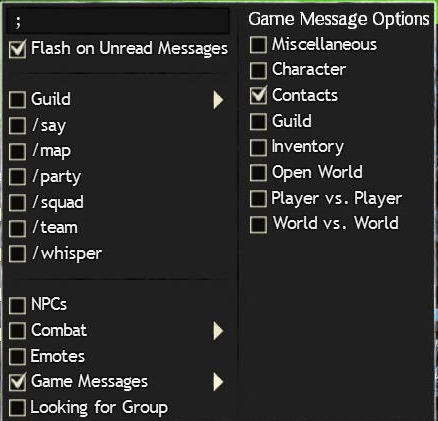 The “Game Messages” setting in the chat panel now allows certain categories to be selected instead of having to see all game messages at once. Now you can select exactly which game messages you want to see. A new camera mode that allows for mouse aiming and cross-hair targeting. The Action Camera can be activated by assigning it a key binding in the Controls Options menu. For an in-depth look, check out How To Use Action Camera. A new “Snap Ground Target to Current Target” option has been added to the combat settings. If enabled, it will place ground target markers at the position of your current target. This means you no longer have to use your cursor to select ground targets. Another new combat setting called “Allow Skill Re-targeting” has been added. This setting will allow skills to transfer to a new target after they have been initiated. In other words you can begin attacking a target, switch to another target, and the skill will simultaneously transfer to the new target. Players who stop completing objectives in an event will now receive a message informing them that they are no longer participating in the event and will not receive loot. Players can still earn rewards if they return to the event before it ends. This is probably a response to players tagging events and then leaving them, while still claiming the rewards. Entire stacks of Luck can now be consumed simply by right-clicking on the item and selecting “Consume All”. This is a quality of life feature that has been one of the most requested. Fractals of the Mists have received a significant update. Masterwork, Rare, and Exotic inscriptions are now crafted from leather and cloth. The amount of cloth required to craft an insignia has also been reduced. Hopefully this will balance out the large pricing disparity between the 2 materials. The new Desert Borderlands map replaces the existing Alpine Borderlands map. 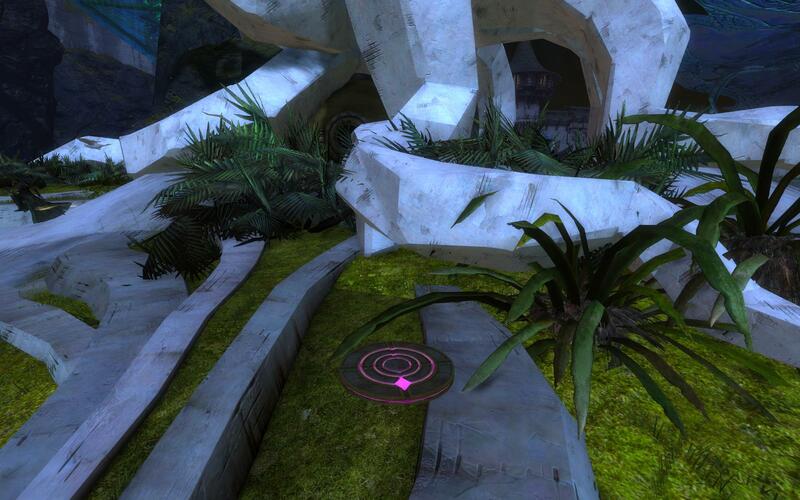 New strategic elements involving elemental “Shrines”, the golden temple “Oasis” and roaming Dolyaks/Sentries. Stronghold is a new game mode in PvP that includes a new map called “Battle of Champion’s Dusk”.